isavirtue: snail mail | paris, postage and a surprise! snail mail | paris, postage and a surprise! these two incoming pieces of mail are very special. it's clear by looking at them just how much time the writers spent decorating the envelopes. the first is a package inspired by my friend shawna's recent trip to paris. she collected and collaged images of paintings that can be found in france. 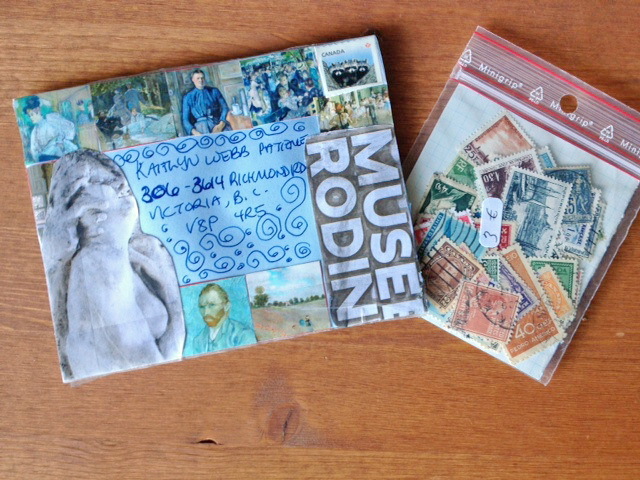 she also included for me a set of vintage european postage! this second piece was a total surprise because i didn't find it till weeks later. i was sorting through some papers on my desk and voila! 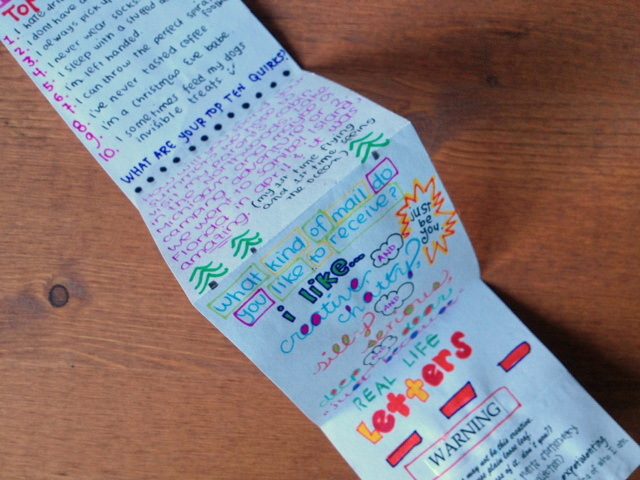 this random, brightly coloured letter from someone named ashley popped up! i have no idea how i missed it when i brought in the mail but i sure had fun opening and going through it!